You must have a lot of ideas flashing across your mind when you think about renovating your basement. But you must have trouble deciding when you can finally start the process. Proper planning is the key to it all. Markham Basement Renovations has come up with a few tips. You cannot work on a wet basement as moisture will ruin the entire area. You have to get it dry and then maintain the dryness. You must first check the floor and the foundation walls for any signs of moisture. You also need to look for cracks, and if you find any call for a professional. 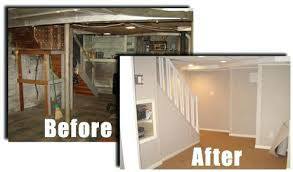 Markham Basement Renovations has the best skilled professionals and will serve you any time you want. Also the grounds around the exterior walls must be checked for any leakage, usage of drainage mats can also help. There are no ways for your basement to get natural light so, artificial lights should be used aplenty. Recessed lighting can be a great option but the noise it emits is annoying. A dimmer switch can be added for varied lighting. It is especially helpful when you are using a home theater in your basement. Other types of lighting that you can use are table lamps, wall sconces, can lights and pendants lights. 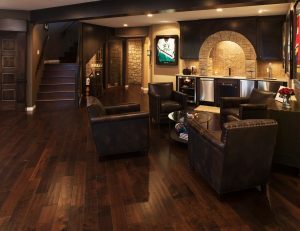 Varied lighting can be a great way of changing up the look of your basement, as and when you please. Markham Basement Renovations recommends good lighting for the basement. Even if you are a pro at handling most things in your household, it is better to choose a professional to do your HVAC. The air conditioning of your house is crucial and proper planning and installation is necessary for this. You cannot handle the task alone; a professional is the best person to help you. Fans can be installed in the ductwork for boosting the airflow within the basement. You can opt for testing all the ducts before you install the drywall as that will rule out all the problems beforehand. We all know that this is a crucial step, and Markham Basement Renovations point out that flooring options are many and varied. You can opt for carpeting, vinyl, tiles and also wood. They all have their pros and cons. But there can be another really unique choice for flooring and that is cork. The installation is easy and gives off a warm feeling and is harvested sustainably. But you must look for a kind that is water resistant. Plank or luxury vinyl is also a good choice. After all the hard work, it comes down to the finishing. You can include so much and get creative. You can get a fireplace, you need to paint the walls, or maybe you want to go for wallpapers instead. Markham Basement Renovations suggests warm colors for the basement, as natural light will be scarce warm colors can spice it up a bit. You can also create gaming space, TV space and a lot more. The basement is now complete and yours to decorate. Catch more tips on finishing your basement here!